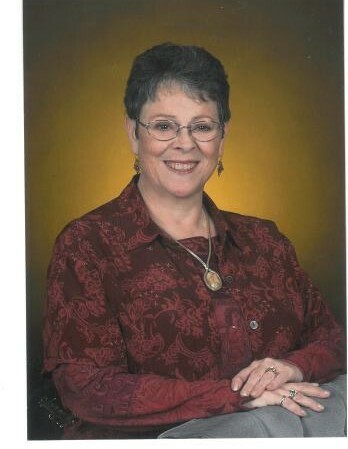 Glena Mae Johnson, age 76, of Rogers, AR died peacefully with family by her side on November 24, 2018. She was born in Fredonia, KS on July 27th, 1942 and adopted by Donald Dewey Suttie and Lucile (Fornoff) Suttie of Herington. She married the love of her life, Larry M. Johnson on the 5th of February, 1961. They only had a short 57 years together. She attended beauty college and helped support the family for several years as a beautician. Glena and Larry enjoyed many years with the Jaycees and Jaycettes. She retired after twenty years at the Wal-Mart general offices. Loving and caring for her family and helping her children succeed was a core priority for Glena. She was a member of Peace Lutheran Church for thirty-seven years and more recently attended with the Living Word Lutheran Church. Glena enjoyed art and spent much of her life creating art and crafts. She would not have traded anything for her days playing Bridge with friends. For many years participating in, planning and helping facilitate the Via de Cristo (“Way of Christ”) weekends stoked and deepened Glena’s passion for her christian way and sharing that way with others. She is survived by her beloved husband, Larry Johnson of Rogers, AR; daughter, Cindy Johnson of Rogers, AR; son, Jay Johnson of Fayetteville, AR; granddaughter, Amanda Amparan, great-granddaughter, Kathy and great-granddaughter, Aryana Amparan of Fayetteville, AR: granddaughter, Autumn Anderson and great-granddaughter, Zakyiah Moon Mobley of Winslow, AR; grandson, Zebediah Amparan of San Antonio, TX; great-granddaughter, Ashley Amparan, great-great-grandson, Ezra Thatcher, great-great-granddaughter, Aspen Thatcher and great-great-grandson, Atlas Thatcher of Tahlequah, OK; great-granddaughter, Holli Christie and great-great-grandson, Rumi Ohm Christie of Tahlequah, OK.
She is preceded in death by both parents. The family welcomes a gathering of friends for visitation Thursday, November 29, 2018, from 4-6 p.m. at Stockdale-Moody Funeral Services. A memorial service will be held at Peace Lutheran Church of Rogers, AR at 3 p.m. on Friday, November 30th, 2018 with Pastor Steve Bang officiating. Memorials in lieu of flowers may be made to the “Arkansas Children’s Northwest Hospital” at Arkansas Children’s Foundation, 4093 W. Sunset Ave, Suite 102, Springdale AR 72762.